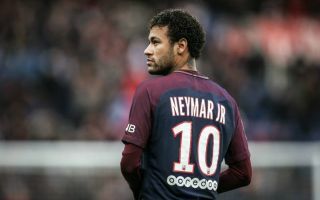 Paris Saint-Germain are concocting a plan to keep Neymar at the club amid reports that Real Madrid are interested in a move for the Brazilian superstar, according to AS. The Brazilian boasted great statistics for PSG last term, scoring 19 goals and contributing to 13 assists since his world record move from Barcelona last summer, which cost the Parisien club €222m as per the BBC. However, injury cut short his season and despite this, he was was still crowned Ligue 1 Player of the Year. As per the report by AS, Los Blancos’ president Florentino Perez is said to be interested in the forward after the departure of Portuguese superstar Cristiano Ronaldo to Juventus. Real Madrid will have to find a player of enormous stature and talent to fill the void left by Ronaldo who scored 450 goals in 438 games making him Los Blancos’ greatest ever goalscorer and Neymar has all the hallmarks and superstar quality to do that. However, AS states that PSG are willing to make Neymar the highest paid player in the world by offering him fresh terms in the region of 50 million euros per year in a bid to keep him in Paris – and this will eclipse Lionel Messi’s salary of 37 million euros a year.